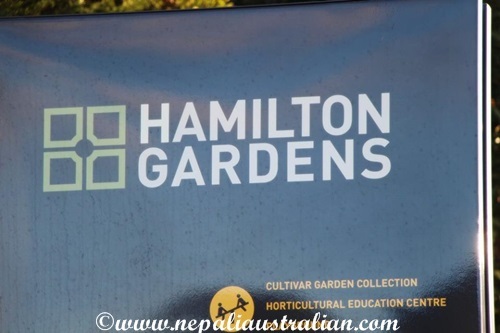 When I was googling places to visit in Hamilton, I discovered Hamilton Gardens and so glad I did. 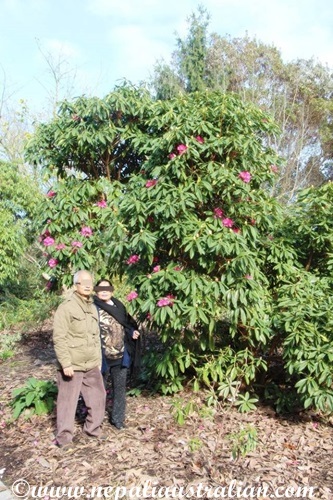 The garden receives over 1 million visitors a year. 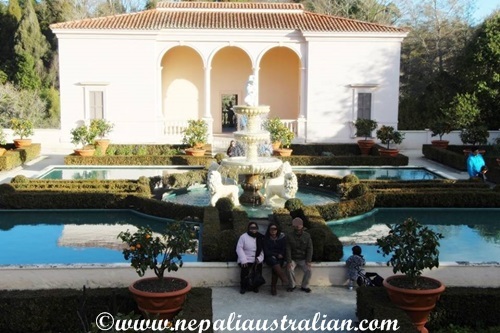 Hamilton Gardens won International Garden of the Year 2014 and it is one of the beautiful gardens I have visited. On top that, entry is free so we went there two days in a row so we could look at everything there. 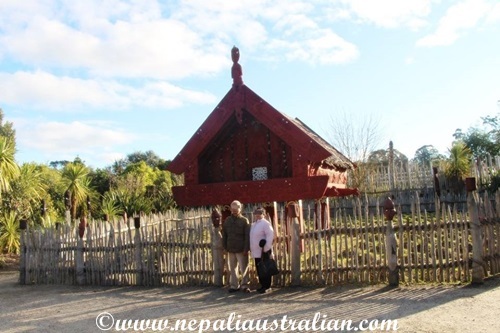 There is plenty of parking as well so it is a must place to visit if you are in Hamilton. 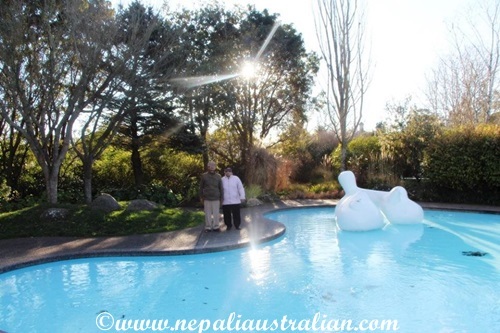 The garden is separated into five themed collections, which are Paradise, Productive, Fantasy, Cultivar and Landscape. Within each of these collections are individual themed gardens. 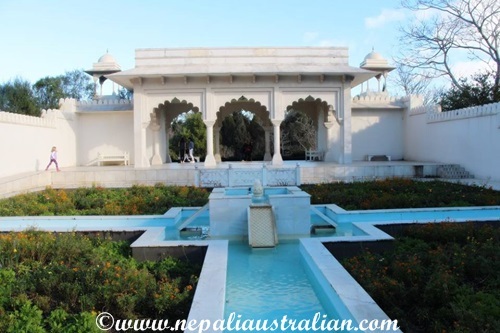 Indian Char Bagh Garden – an interpretation of a 16th – 17th Century garden built for the Mughal aristocracy who spread their empire eastwards from Persia into northern India from the 13thcentury onwards. 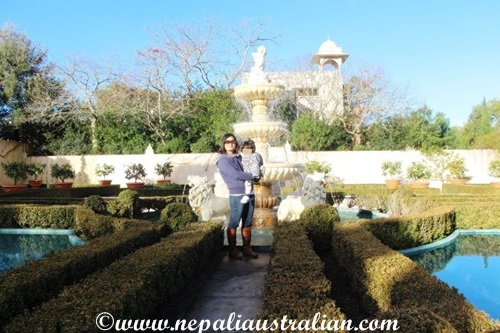 WE loved the garden as it reminded me of our visit to Taj Mahal and garden around it. American Modernist Garden -a late 20th Century garden designed for outdoor living, in the American West Coast tradition featuring swimming pools, barbecue and outdoor eating areas. 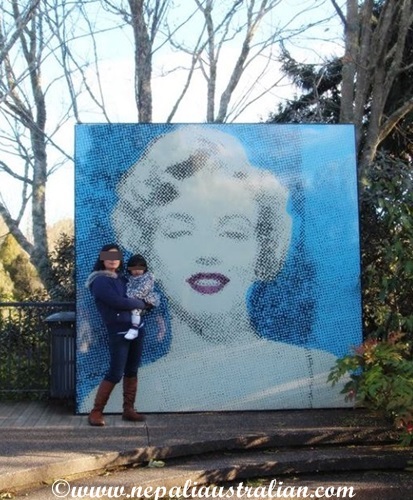 There is a huge mural of Marilyn Monroe. 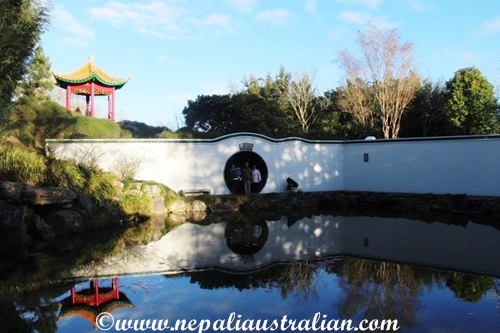 Chinese Scholars Garden – an interpretation of the 10th – 12th Century Sung Dynasty gardens consist of windy path, rock décor, red bridge, moon door, lake with plenty of koi and pavilion. English Flower Garden – designed in the style of an English 19th Century Arts and Crafts garden which emphasised simple forms and natural motifs. Japanese Garden of Contemplation – an example of the 14th – 16th Century Muromachi Period gardens which we couldn’t view unfortunately as it was under construction. 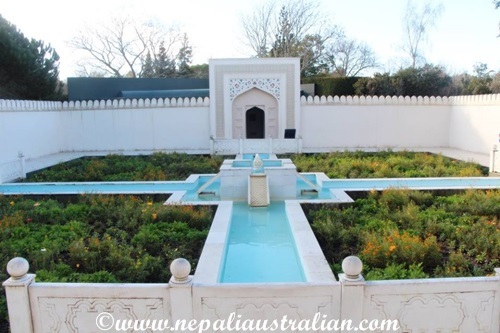 Italian Renaissance Garden – an interpretation of the 15th – 16th Century Renaissance Gardens with fountain in the middle of the garden, the high surrounding walls, flat square beds with edges lined with plants, beds of simples, flowery meads, and the arched trellis work making it so beautiful. On day one, we mostly did only this section and we really enjoyed it. So we decide we will go back and finish the whole garden. 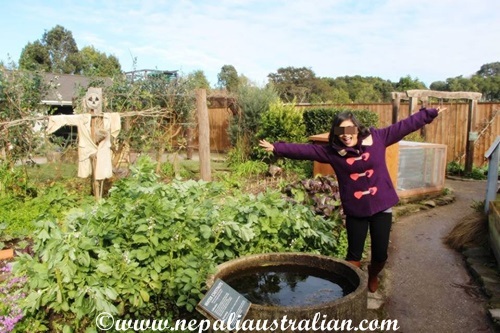 The following day we went to visit Productive Collection consists of following edible gardens. 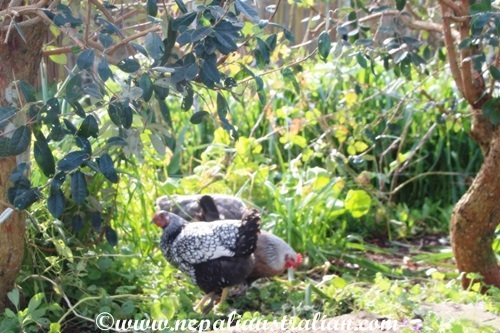 Kitchen Garden – traditional European productive garden with a variety of vegetables and small fruits. Herb garden – 20th century invention using four beds defined by their purpose, – culinary, medicinal, cosmetic and perfume herbs. Two other sections of the Herb Garden contain herbs used for dyes and for herbal teas. Sustainable Backyard – designed around sustainable gardening principles so some things have many functions and most available space is used and waste is used as a resource. 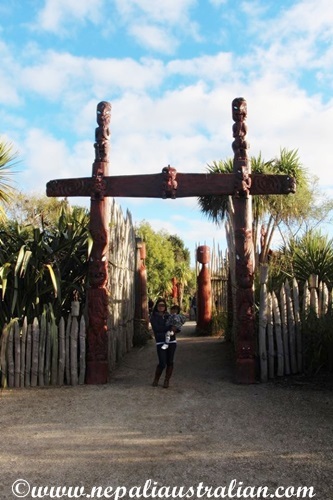 Te Parapara Garden – traditional Māori horticulture garden that displays plants that can be used as resources as well as plants of cultural significance. 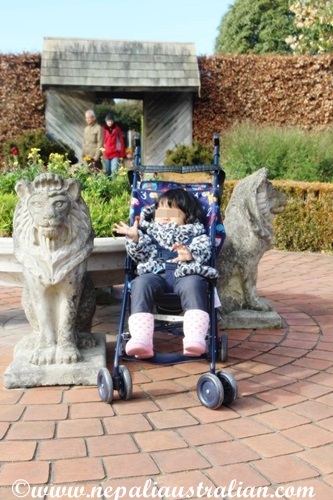 I have never been to garden like this before. 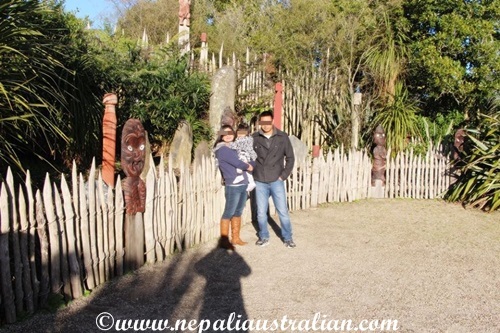 You get some kind of feeling when we were there looking at Maori handicrafts. Chinoiserie Garden – European interpretations of Oriental design that were fashionable in late 18th and 19th Century gardens. 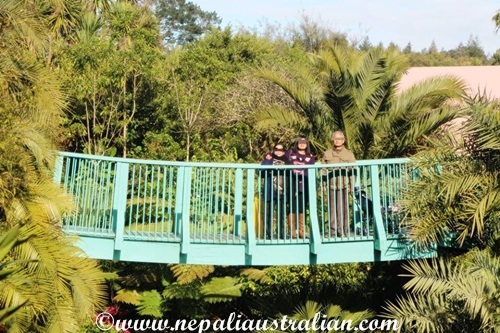 Tropical Garden – uses plants from other climatic regions to recreate the luxuriant beauty, colour and fantasy of tropical gardens. 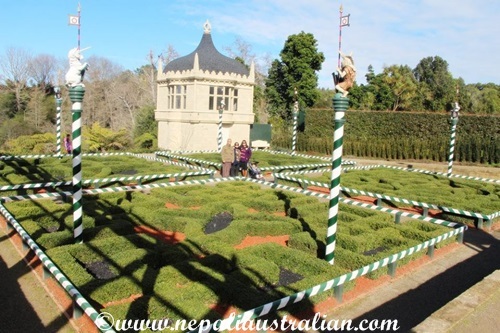 Tudor Garden -traditional garden reflects the fascination 16th century English aristocracy had with geometric patterns and symbolism with double meanings. 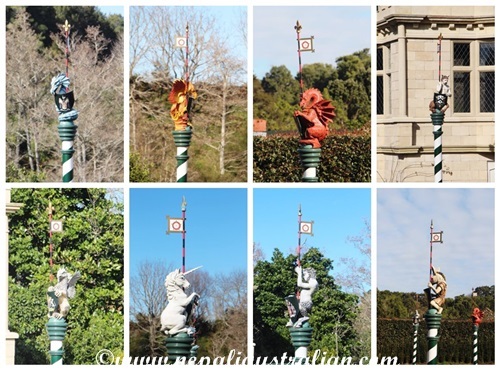 I love this garden as it t is surrounded by mythical beasts on top of the pole like Unicorn, Dragon, Satyr, Centaur, Sea serpent etc. and it was really good. 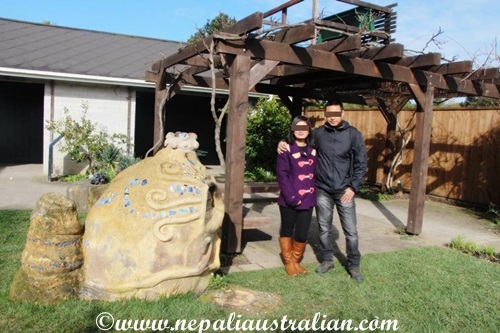 Hammond Camellia Garden – tells the story of the discovery and development of the Camellia genus, which is one of the most popular ornamental plants in New Zealand gardens. 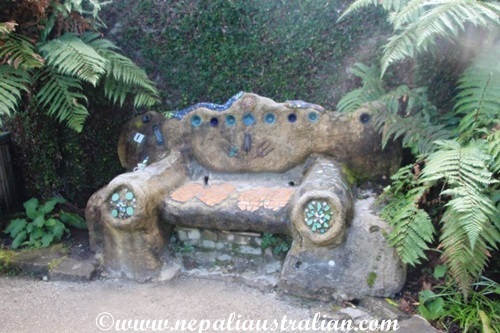 We spend lots of time around this garden as they have chairs provided for us to rest. 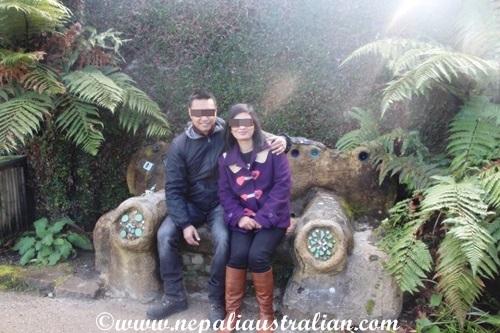 Rhododendron Lawn – Nepal’s nation flower is Rhododendron so it was exciting for us to walk around the wooded area and other gardens bordering the path that circles the Rhododendron. 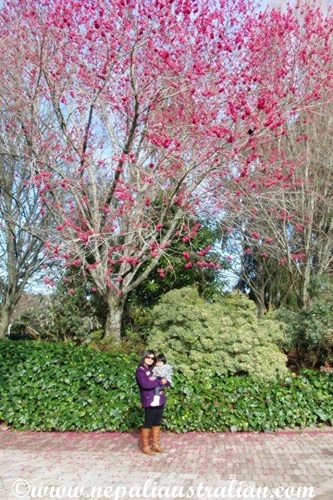 They were so many tress and they have lots of flowers, just beautiful. 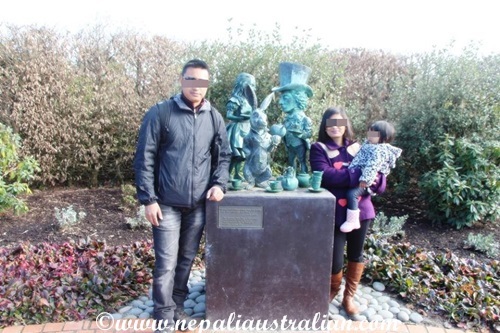 Rogers Rose Garden – tells the story of the development of the modern rose through a series of themed areas that each focus on a different aspect but unfortunately as it was winter, we didn’t saw only few roses. I could imagine how beautiful it will look in spring. Victorian Flower Garden – the Victorian Flower Garden there are really two themes. 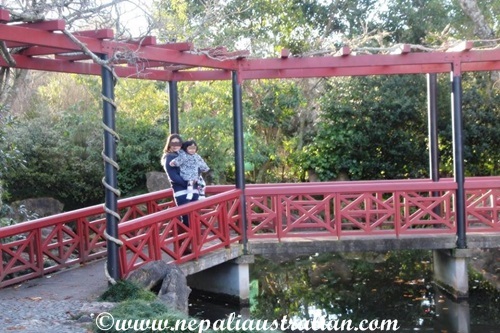 Firstly, the garden and greenhouses featuring plants bred for colour and curiosity; and secondly, a 19th century garden in the English gardenesque tradition. 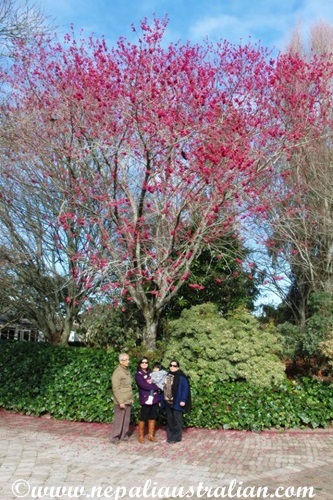 All of us, including my parents and Chhori enjoyed the garden. 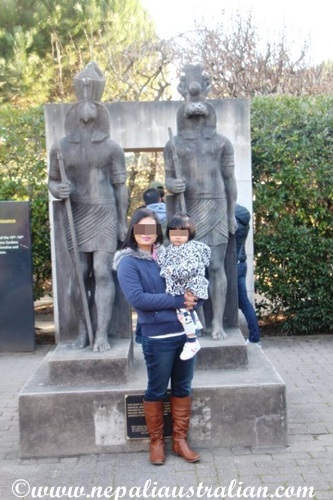 We felt like we went to different places as we walk around different theme gardens. I highly recommend anyone going to New Zealand to stop here for a day and enjoy the nature. 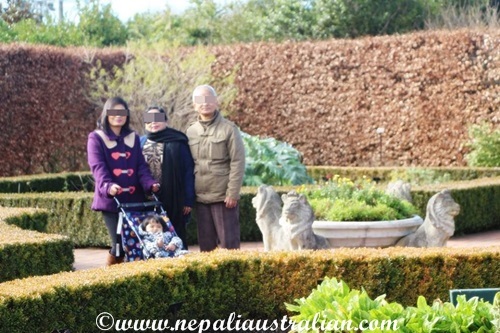 This entry was posted in General and tagged Australia, australian, australian nepali, • American Modernist Garden, • Chinese Scholars Garden, • English Flower Garden, • Indian Char Bagh Garden, • Italian Renaissance Garden, Cultivar collection, Hamilton Gardens, M from nepaliaustralian, Nepal, Nepalese, Nepali, nepaliaustralia, New Zealand, Paradise Collection, Productive Collection. Bookmark the permalink.